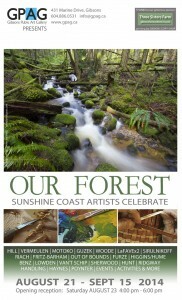 A year in the planning – OUR FOREST- brings together some of the most recognized artists and artisans on the Sunshine Coast. 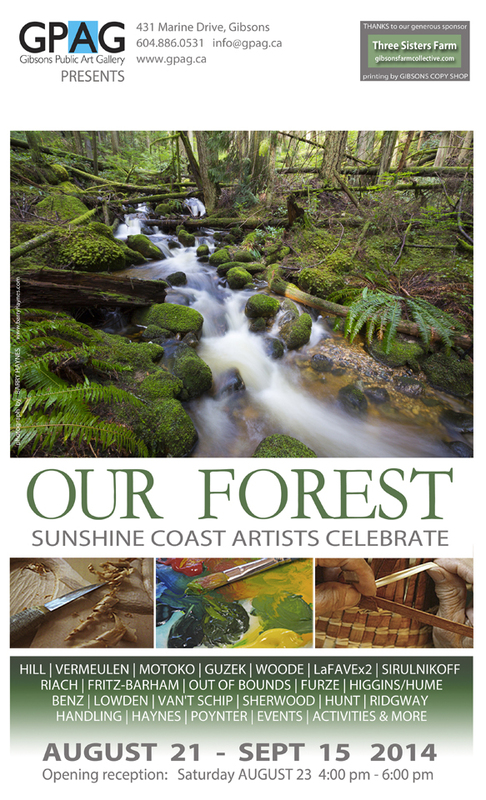 The participating artists work in a variety of mediums, styles and themes and the exhibition promises a range of interpretations that will both celebrate and provoke discussion around the forest that surrounds and sustains us. For artists and performers, it is an opportunity to highlight their concerns about local forestry practices through their creative efforts and actions. OUR FOREST will present a wide range of individual and creative interpretations, thoughtfully outlined in each artist’s personal statement. This collection of original work is intended to raise awareness with a broad audience and promote discussion throughout the community.